This is the podcast of the radio program Manojigyasa which was originaly broadcasted from Ujjyalo 90 Network. Manojigyasa is a program based on Psychology and Mental Health. This was originally broadcasted on 5 December 2015. 3) Psychbigyaan Tip to manage stress! 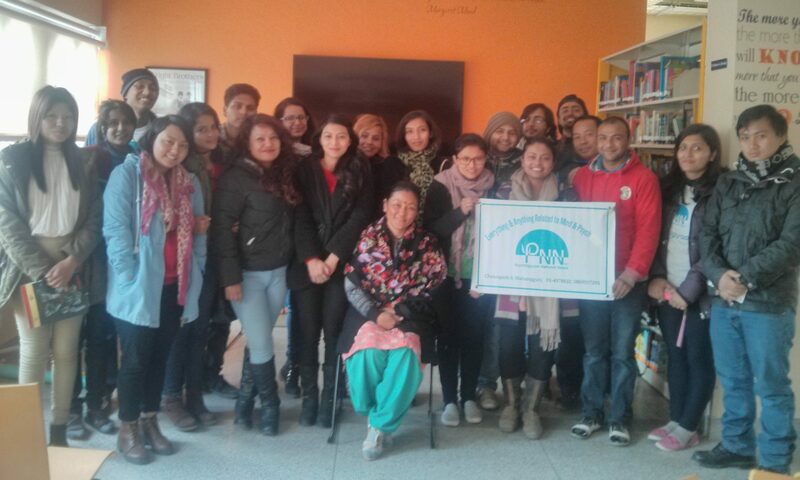 Our big thanks to Rama Karki (Social Activist, Psychological Counselor of Amrita Foundation and Psychology Teacher) and Chetana Loksum (President of The Relief Trust, PTSD Expert, Psychological Counselor and Teacher) for giving us their valuable time and sharing their knowledge in making of the episode. 3 months on: What is the status of mental health and psychosocial support in Nepal? The country has seen lots of natural calamities recently. The fury of nature has taken hundreds of lives and thousands bereft with the loss of their dear ones and property. The inevitably bears down upon the mental states of the victims of such calamities. The relief program aimed for normalization of the situation often looks for temporary resolvement of the situation but the larger question looms what after that? The government has ignored this aspect of the question and the victims are left with little choice and hard battle ahead. The persons who have gone through these traumatising episodes have the huge chance of getting PTSD ( Post Traumatic Stress Disorder) and all other sorts of mental health problems. The government seems to be short-sighted and totally apathetic to the conditions which demand serious concern and questions. We can’t avoid the inevitability of the mental toll that takes place after such events but we can definitely facilitate the people to come out of the mental sagas to resume their daily lives once again. Not all people needs help. As the time advances, many people get over with their grief but some people don’t come out of the shell. Evidence suggests there will be a surge of more mental health patients in the long-term where there had been the incidence of natural calamities. But the quickest and good intervention can help the people to alleviate out of their trauma. For this the government should come up with the proper plan and strategy in place to address this grave issue.